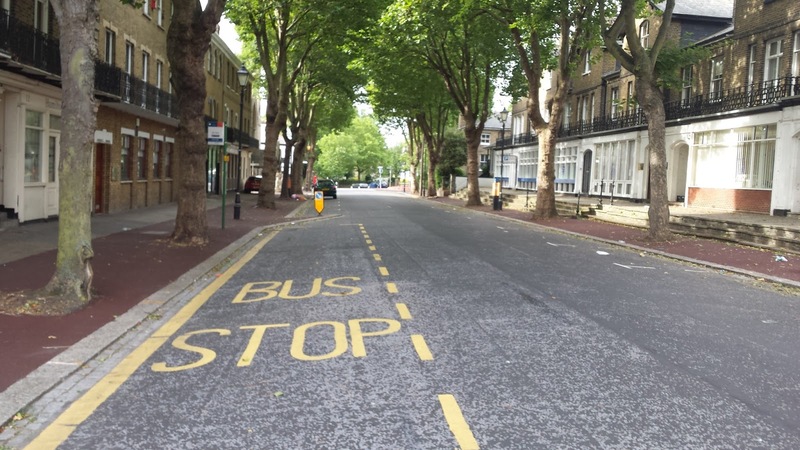 Nigel Holdcroft – a view from Nelson Street: Nelson Street - home for a nice yellow bollard! Nelson Street - home for a nice yellow bollard! 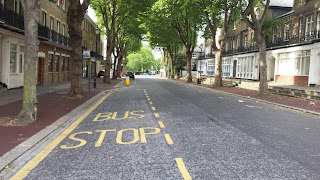 I have previously blogged on the rather extended saga of the resurfacing of Nelson Street which did not give great credit to the Council but did eventually result in an improved road and pavement surface for this picturesque and historically significant road. So I suppose that’s the end of the story. Well yes except…….. The following photograph shows the finished job. OK so the unsightly ticket machines are unavoidable but would be improved with a coat of black paint. However is the fluorescent bollard in keeping with the feel of the street? To say it sticks out like a sore thumb is a massive understatement. Now I know why it is necessary because with not great street lighting the build out separating the bus stop from the car parking spaces would be pretty much invisible in certain conditions. However that does give rise to the question as to why the design included the build out which was not present before. It is not designed to facilitate better pedestrian crossing of the road but seems to be for purely aesthetic reasons. Isn’t it a little strange that when designing it consideration was not given to the aesthetic effect of the inevitable shiny yellow bollard which would need to be added to it as well. It is another example of actions taken under the current administration which seem poorly thought through with additional money being spent unnecessarily.